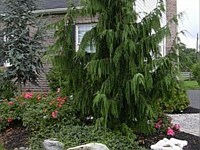 At TimberRock Enterprises LLC, we have decades of experience in performing various landscaping tasks. We have served a great number of clients in Easton, Bethlehem, Allentown, Whitehall, Hackettstown, Stewartsville, Nazareth, Morristown, Flemington, and Stroudsburg. Our past and present clients praise our dedication to render unmatched work quality, professionalism, and ability to create stunning landscapes that are also functional and safe. Our adherence to the standards set by the industry can never be questioned, and the manner by which we perform the tasks entrusted to us by our clients is highly efficient. You may call us now at 484-764-7175 to speak with our friendly staff and have your landscape improvement questions answered. We look forward to helping you achieve your dream landscape. When it comes to creating landscape designs and subsequently building one from scratch; no other Pennsylvania landscaping company does things better than us. We have been designing landscapes and specific landscape features using modern tools such as CAD software. This allows us to create outstanding design plans that perfectly capture our clients’ desires and expectations. 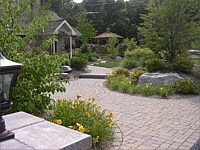 Likewise, we are among the most relied-upon landscaping contractors in the state. We’ve been building landscapes of unmatched beauty, functionality, and safety. We can guarantee these results since we are composed of veteran landscapers with professional training and industry certifications. Our Easton clients and those from nearby cities are assured that only qualified personnel will work on their projects. 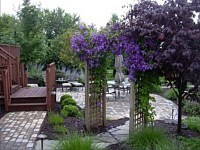 What Makes Us the Best Landscape Contractor in Easton? We possess some truly great qualities that have earned for us the respect and trust of Easton residents and other clients that we serve. We are a locally based and family-owned landscaping company, which means that we are familiar with everything that clients are looking for. Meanwhile, we are absolutely proud of our exceptional workmanship that has made us a byword in the areas where we do business. We are oozing with creativity that has helped us come up with truly personalized designs that clients really love. We can also choose and recommend which feature will best suit your landscape, having done the same for numerous Easton clients then and now. You can count on us to create the kind of landscape that you have always wanted for years. Additionally, we will work within your budget and specifications so you won’t worry about ruining your budget or getting a landscape service that doesn’t meet your expectations. Our crews are also very courteous and efficient, so they can finish the job on time and even ahead of deadline. Aside from providing our expertise to owners of private properties and commercial establishments, we also serve contractors, architects, and landscape developers across Easton, PA and nearby areas. Just let us know about your particular landscaping needs, and we’ll strive to handle them for you. Please contact us soon.